Before you can make an informed decision about which type of garage, an attached addition to your home, or an enclosed detached garage, is right for you, it is important to evaluate why you are garage shopping in the first place. If your desire is to stay warm and dry on the walk from your house door to your car, perhaps an attached garage is for you. If you are looking for additional space or do not own your home, a detached garage may be a better option. 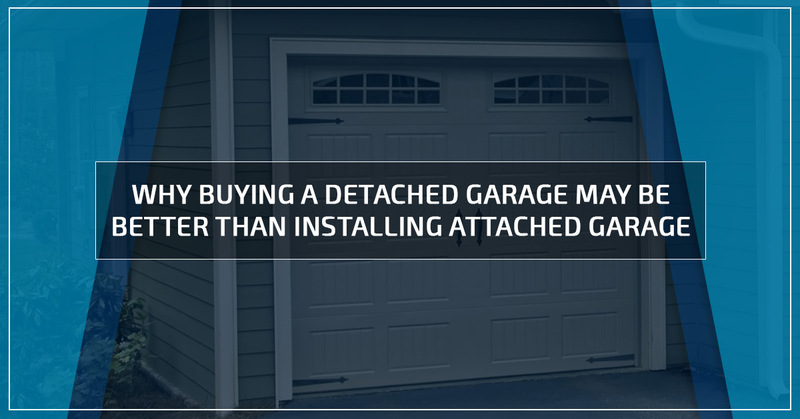 An attached garage is a large investment and a major home improvement project. When pricing out different garage options, do not forget to include the fees that may be associated with city zoning permits or surveyors. Most of the supplies that are required to construct a garage can be purchased at your local hardware store, but unless you are a professional construction worker, chances are you will have to hire a crew to build your garage. 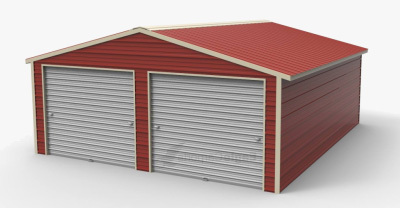 Enclosed detached garages are typically pre-built and many dealers will include free delivery and installation. Attached garages are permanent structures of the home that they are added to. If you own your forever home, building a fixed garage may not be a terrible idea as it will add value to your home and afford you extra space without being added to the livable (taxable) square footage. One of the major benefits of purchasing a detached garage is that it can be deconstructed and taken with you if you move. This is ideal if you do not own your home. Being able to take your garage with you makes the investment worth it! If you do own your forever home, do not count a detached garage out before exploring your options! Detached garages have the capacity to become fixed structures on your property. If you pick the plot of land you’d like it on, you can have a foundation dug out and concrete poured to anchor your detached garage to. 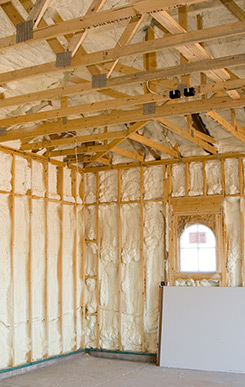 This is especially ideal if your home is older, it may not be worth it to add a brand new structure to it. Do you already have an attached garage and need more space? Because detached garages are able to place wherever the property allows, you don’t even have to use your driveway. You can put your detached garage in the backyard or wherever you store your yard supplies and recreational or working vehicles. This is a great benefit if you have several acres! Enclosed detached garages can make a great addition to your home or property and offer an alternative to making an addition to your home. They are available in a variety of sizes and options. 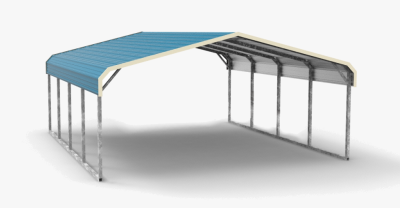 At Wholesale Direct Carports, we strive to be Washington’s premier dealer of detached garages and metal buildings. We offer a satisfaction guarantee and free delivery and installation. Call us today to see what we can build for you to fit your needs!